Even though its compact size enables it to be carried from room to room, the EB-U42 projector is capable of highly visible WUXGA images thanks to its high brightness (up to 3,600lm) and superior 15,000:1 contrast ratio. Room lights don't have to be dimmed to see bright and clearly projected images, allowing meeting participants to concentrate better for improved productivity. Featuring native resolution up to WUXGA (1920 x 1200), the Epson EB-U42 projector series delivers high quality images and crisp, sharp text without any distortion. Get both audio and brilliant HD video content with just one cable that can connect with the latest laptops, Blu-ray, media players and MHL-enabled devices. The EBu42 projector enables you to display content from MHL-enabled smartphones and tablets, as well as charge your MHL-enabled device when it’s connected to the projector. The Epson ebu42 projector is easier to control than ever through its Auto Power On feature. There is no need to turn on the power using the remote control or the power button on the projector itself because start-up is activated with cable insertion. The High WUXGA resolution enables the U42 allows you to display content from two inputs simultaneously, side by side, on a single screen. With three layout options you can display video and presentation materials, and run video on both screens. Lamps can blow, if you need your projector working and can't afford down time, you may need to keep a spare lamp. 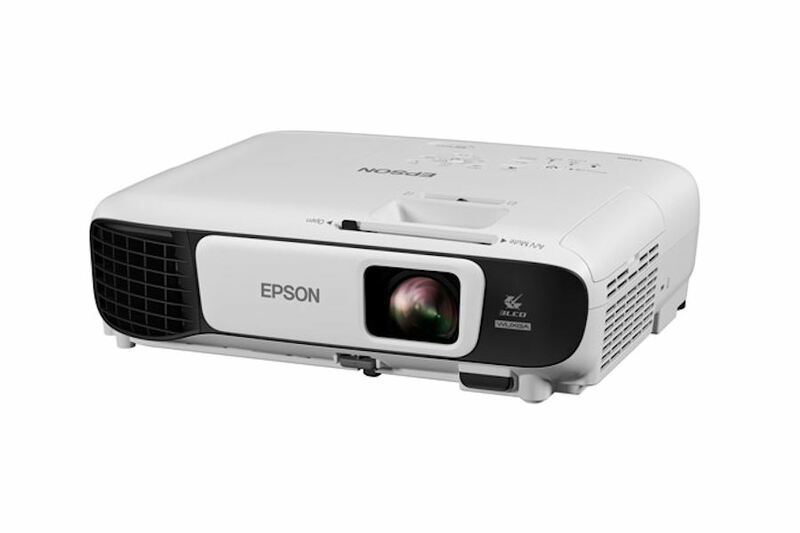 The replacement projector lamp for the Epson EB-U42 is the ELPLP96.